New consumer products company ushers in next craze in technology-forward and trend-setting school accessories. Tomorrow Incorporated, a cutting-edge new consumer goods company that produces toys and wearable apparel for kids, unwraps the hot new school accessory that kids everywhere will want when they head back to school after the holidays: The Britepack™! Triggered by movement or impact, the Britepack sets off a pattern of LED lights and shuts off when not in use. Its fun for kids and has strong parent appeal, since in low-light conditions kids can be more readily seen in traffic and urban areas. 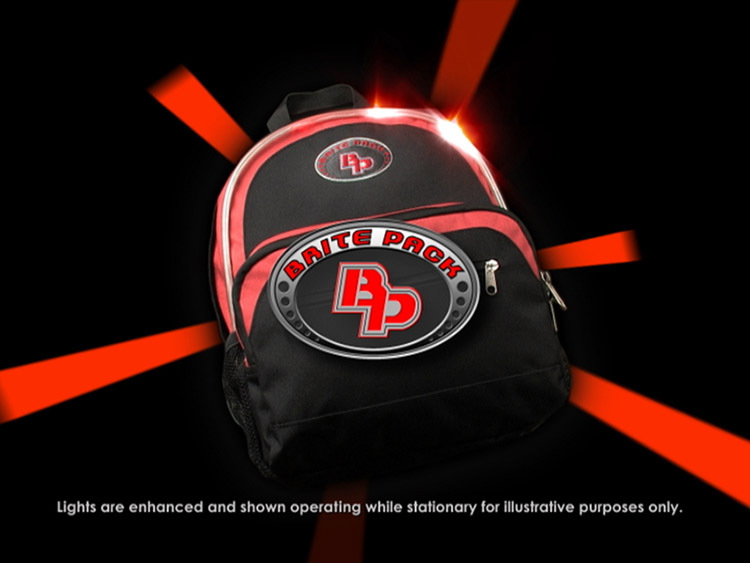 Britepack takes a hot trend and uses patent-pending technology to marry it with a school accessory, creating one extraordinary item. "The light-up and roller shoes have been available for awhile now, so we wanted to take "wearable tech" to the next level," said Jim Huntley, Chief Marketing Officer of Tomorrow Incorporated. "The Britepack is sure to become a wardrobe staple for kids and adults who want cutting-edge gear, while parents can appreciate the safety aspect Britepack provides as it gets darker much earlier during the winter months." This year, Britepack is available through online retailers such as eToys and will exclusively launch on http://www.britepack.com this week. Orders received on britepack.com by December 19 are guaranteed to be shipped in time to arrive anywhere in the continental US before December 24. In 2008, the trend-setting book bag will be sold in retail stores nationwide. •Patent-pending technology that senses when you're on the go and activates a fun light pattern. Britepack shuts off when not in use or when laid flat to conserve battery power. •Simple to replace AA batteries located on the side panel keep the bag charged and ready to move when you are. •Made of extra tough material and is easy to clean. •Britepack add-on tech accessories for launch in 2008. •Age-graded for children 6 and up. Based in Los Angeles, Tomorrow Incorporated's primary mission is "Innovation Above All." The corporation currently brands its products under two imprints: Tomorrow Toys and Tomorrow Gear. Tomorrow Toys is The Future of Fun™ for kids and adults who are looking for exciting and unique products that promote learning, interaction, and imagination stimulation. Tomorrow Gear invites consumers to Wear the Future™ with unique augmentations to wearable apparel. Utilizing extensive research and strategic partnerships, Tomorrow Incorporated is committed to developing parent and kid-friendly products that always bring something new and unique to the table.